The famed No. 242 “Canadian” Squadron was a Royal Air Force squadron that – at least initially – included a large number of Canadians. The Battle of Britain (German: Luftschlacht um England, literally “The Air Battle for England”) was a military campaign of the Second World War, in which the Royal Air Force (RAF) defended the United Kingdom (UK) against large-scale attacks by the German Air Force (Luftwaffe). It has been described as the first major military campaign fought entirely by air forces. 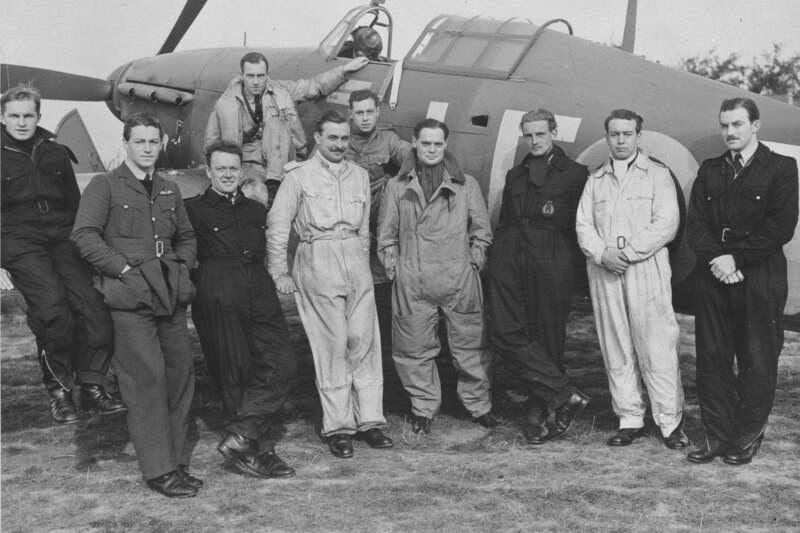 More than 100 Canadians are deemed to have participated in the Battle of Britain, and 23 lost their lives. Infantrymen of The Highland Light Infantry of Canada aboard LCI(L) 306 of the 2nd Canadian (262nd RN) Flotilla en route to France on D-Day, 6 June 1944.